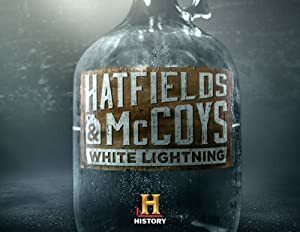 Probably the slickest and best liquor advertising campaign in the history of liquor, advertising or even campaigns in general is – the marketing of the Hatfield’s and McCoy’s White Lightning. How cool is that? What American wouldn’t drink a glass of White Lightning? Who cares if the American haters, who would call these fine folk dumb-hicks or hillbillies, don’t get the importance or meaning of this legendary family, or don’t get the fact that the terms hillbilly and hick are not necessarily negative. 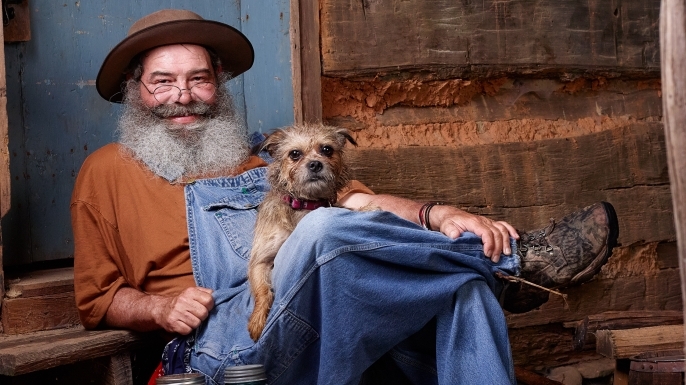 New Yorkers have to invent a lifestyle; these people from the Appalachian mountains actually live life. Their roots run deep in the fabric of America. I’ve got to do research to see if that lackluster TV series The Hatfields and McCoys with Kevin Costner was just a lead-up to the ad campaign for The Hatfields and McCoys: White Lightning. *Was the TV show American Pickers the genesis? Courtney McCoy in History's "Hatfields and McCoys: White Lightning." No disrespect meant, but this young woman has a derriere that’s the Real McCoy. I’m talking rock star a–! Find more about Courtney and the other family members at The History Channel here. Verbal gemstones of brilliance are offered, every-so-often, from this coolest of cats. Just try to best him. *The History Channel’s, American Pickers, featured a show about collectible items belonging to the Hatfields and McCoys. August’s Full Blue Moon: The Full Sturgeon Moon will be 100% full August 20 at 6:45 P.M Las Vegas time. August is the month of the Full Sturgeon Moon. Some Native American tribes knew that the sturgeon of the Great Lakes and Lake Champlain were most readily caught during this full Moon. Others called it the Green Corn Moon or the Grain Moon. "In 2013, the August moon will REALLY be a Blue Moon. That is, it will be the third full moon in the summer season which has four full moons in 2013. This is the original, correct definition of a Blue Moon. The definition about the second full moon in a month is a more recent simplified usage." Historically, the Native Americans who lived in the area that is now the northern and eastern United States kept track of the seasons by giving distinctive names to the recurring full Moons. Each full Moon name was applied to the entire lunar month in which it occurred. These names, and some variations, were used by the Algonquin tribes from New England to Lake Superior. 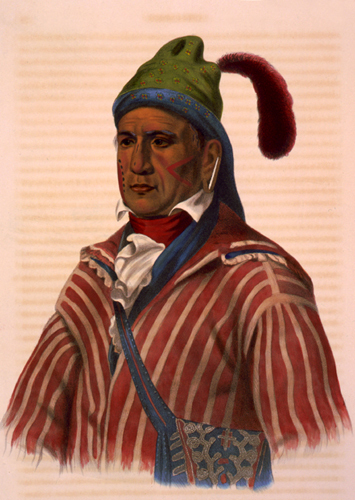 Me-Na-Wa, a Creek warrior, McKenney and Hall, 1837. "Clothes washed for the first time in the full Moon will not last long." "If you glimpse the new Moon over your right shoulder, you will have good luck." "To have a project prosper, start it during the new Moon." "Babies born a day after the full Moon enjoy success and endurance." Update 2014 – The Edge is now serving excellent, Sweet Potato Fries. Every so often I have a need to drive across town to the soothing neighborhood of Edgewater across from *Sloan’s Lake. The lake was dredged some time back, and surrounded by (cleaned-up) verdant Sloan’s Lake Park, it’s a beautiful spot. 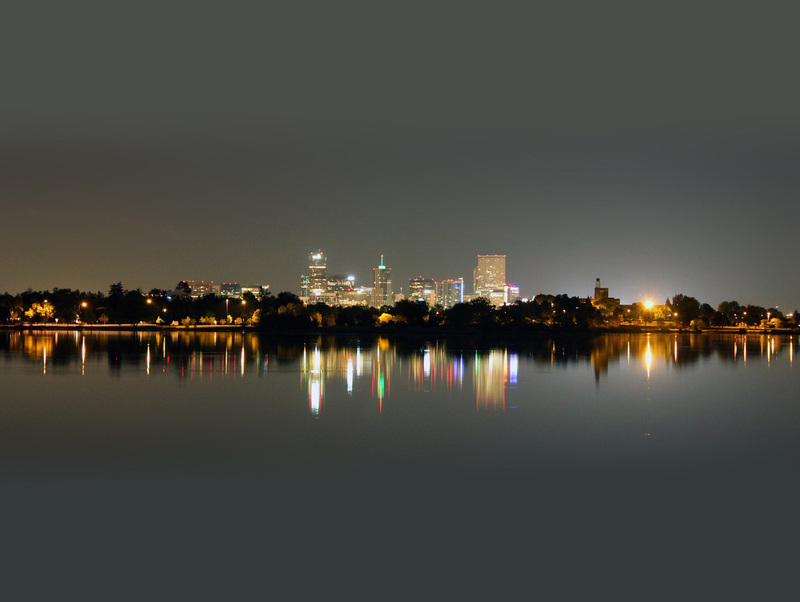 The view across the lake, from Sheridan to the east, is one of the best views of Denver’s skyline. Most nights the reflections of downtown building lights paint the water – even though the lake is miles from downtown Denver. I know there’s an explanation for that phenomenon, something about bending light waves. Whatever the science, she’s drop-dead gorgeous. Close, but never quite in the heart of Denver’s Little Italy, The Edgewater was a bit too far west. 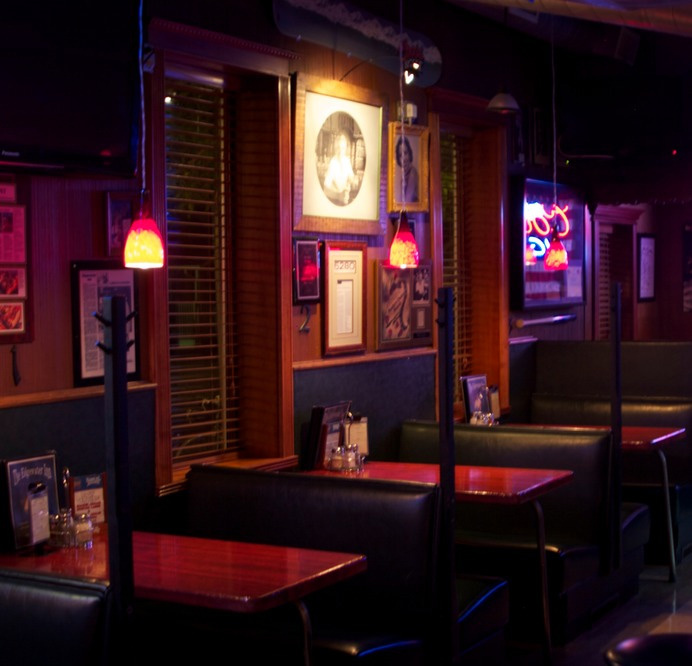 The Bonnie Brae Tavern (DU area), Romano’s in Littleton and several others around Denver are good restaurants, just not in the epicenter of Denver’s Little Italy, which pretty much hugged the area bounded by 32nd Avenue to 46th Avenue and Broadway to Zuni streets. There were a half-dozen-plus red-sauce places within a mere 2-mile stretch along 38th Avenue, and down connecting side streets of the Little Italy area, many within just a few blocks of each other. Longo’s Subway Tavern (shuttered in 2012,) Gaetano’s (new corporate owner) and Carl’s Pizza (new owners) were on 38th Avenue. R. Carbone’s Pizza (now Lechuga’s – For Sale in 2014) and The Alpine Inn (John “Skip” LaGuardia’s tavern – long closed) shared Tejon Street with Gaetano’s. Patsy’s Inn is still on 35th and Navajo (family-member of the founder is the current owner, however, there have been non-family owners.) Little Pepina’s was at 34th and Osage St (the building stands – soon to be an Asian restaurant,) Pagliacci’s was at 33rd and Osage (raised last year.) 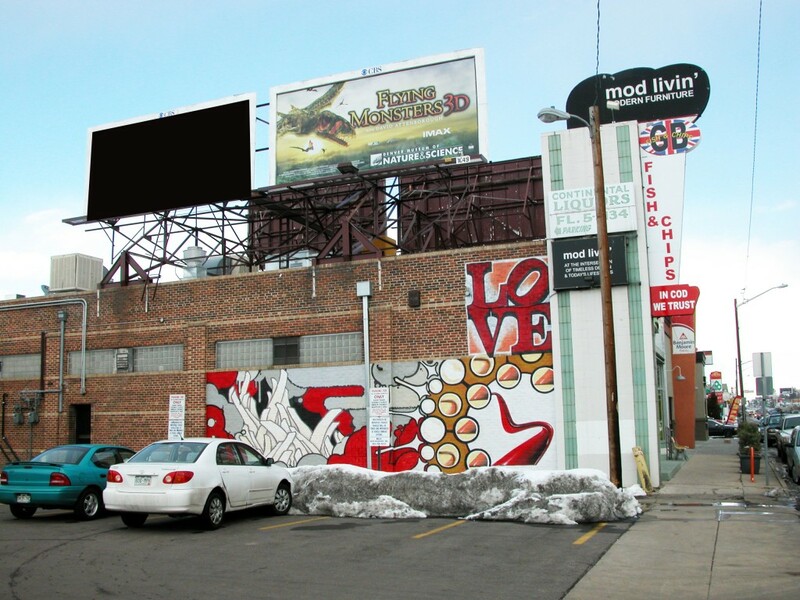 Three Sons was located at 44th and Federal ( 3-sons moved to Arvada,) Ernie’s Pizza Bar was at 44th and Elliot (new corporate owners,) and Carbone’s Sausage Market and Deli (closed) was catty-corner to the Subway, across 38th. I’m getting dizzytized. In naming more of the good qualities of this restaurant, one would have to mention the cleanliness, the clever U-shaped bar, the copper Moscow Mule mugs hanging like relics from bar racks (The Edge offers premium Vodka Mules), and gracious, friendly and attractive waitresses. These women have perfected the art of public relations. The restaurant/bar is one, in other words the restaurant tables surround the perimeter of the U-shaped bar. The exception being the new covered patio addition, which is a bit different. The main dining/bar area has a number of very cozy booths nestled up against quality, rich woods. The only thing I’d change is the worn, grey veneer of the lower bar. Wood matching the window trim would complete the interior. *Doing research years ago I ran into some documents suggesting that the lake and park were simply called Sloan Lake and Sloan Lake Park, rather than Sloan’s. Over the years, since the beginning of rock & roll – in the 50s, I’ve personally known people who are experts in the field. No one knows the business like Rollye James. Mention a few facts or whistle a tune and this dynamo will tell you the name of the song, who the artist is, who wrote it, who the musicians are, and she’ll name the label to boot. By the way MS James is also politically astute. These are the ingredients for cooking up a show for radio. And Rollye James is cooking again, on the air, one more time. She’s doing a 5-day podcast from her home-studio in Philadelphia: “Rollye revived her show, broadcasting weeknights 10pm – midnight via live stream / podcast on June 19, 2013.” “She hosted The Rollye James Show nationally and on international shortwave on WWCR from 2000 to 2011.” Although the show is broadcast live only two hours per day, the daily podcast can be accessed at any time through her website. A cool factoid about this light-years-beyond-hip, attractive blonde is that she reportedly drove the entire Interstate system – Coast to Coast – alone in a Corvette. For the Denver folks, Rollye James was on KOA in the 80s.